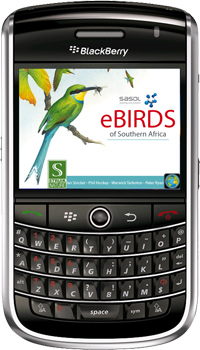 Sasol Birds of South Africa has had a huge success with their printed book and riding on the popularity of birding and sales of their book they have now produced mobile apps for iPhone, Blackberry and Android called Sasol eBirds of South Africa. 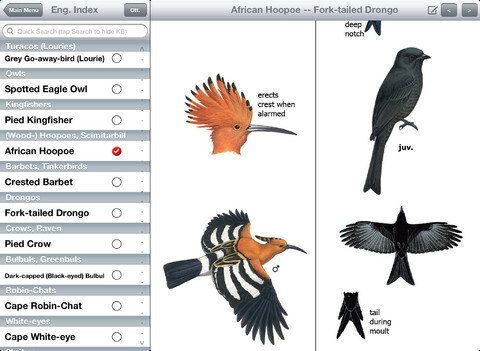 It is available at the relevant App Stores at a cost of R239.99 at the Apple iStore with a free version that gives you 30 species. Android price is R263.06 with Blackberry App is at USD29.99 which at today’s exchange rate of 8.77 Rand = USD 1 makes the price in Rands at R263.01. 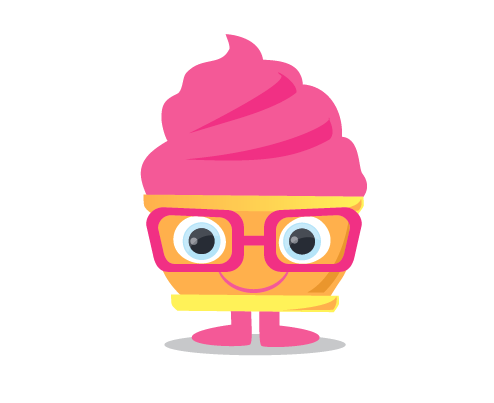 A very affordable price for an App that gives as much as this one does. 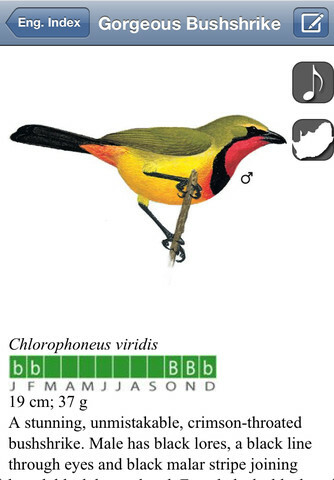 The App identifies 950 different birds with the audible calls for 630 bird species. 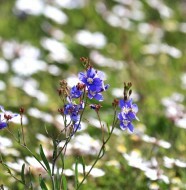 It gives you the scientific name, the common name, the Afrikaans name and the IUCN status. 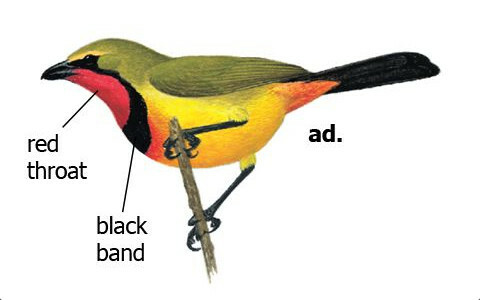 You are also able to make a list of your own sightings. 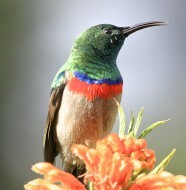 We were in a bird hide the other week where a photographer used the app, played the bird call and the bird responded by singing out long and loud resulting in the photographer getting an awesome set of photos for his collection. 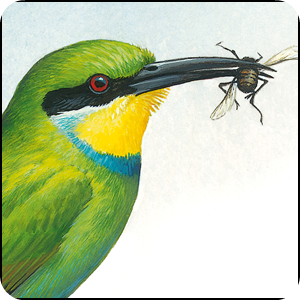 Having downloaded the App ourselves we would, without reservation, recommend this App to any birder, bird lover, twitcher or avid bird photographer it is a part of your equipment that you cannot do without. 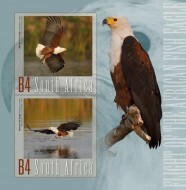 If you do not have any of the compatible cellphones and would still like to purchase a copy for yourself you can get a copy, delivered for free until the end of December 2012 at a cost of R216.00 here. Or alternatively you could use your ebucks to purchase.